Recorded 1st and 2nd June, 2016 by Bjorn Gjessing at The Village Studios, Copenhagen. 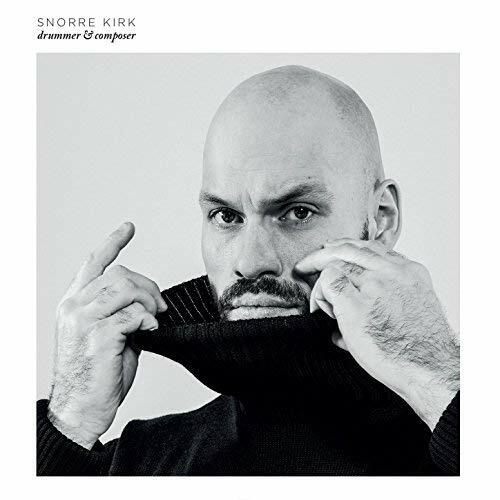 Norwegian drummer Kirk had already caused a stir with his 2012 CD ‘Blues Modernism’, which was an exploration of the different ways in which the Blues could be brought into modern settings. In this latest CD, he has cast his net wider to take in mid 20th Century jazz. Each of the pieces is imbued with the essence of sounds and rhythms from the ‘20s to the ‘50s. So, for example, the clarinet line that opens track 2, ‘Heartland’, is complimented by a Swing arrangement; the groove of track 3, ‘The Main Drag’ has a strong bop sensibility; the swaying rhythms of track 4, ‘Pastorale’ have a Latin touch filtered through Birdland. Each piece conveys enough of these different styles to create a sense of familiarity while the tunes themselves carry original tunes and phrases. The choice of instruments provides a broad palette of sounds that can cover this period of jazz history, and the musicians (who are all well-known and respected musicians in their own right) steer adroitly from era to era. You could almost imagine that, in addition to switching musical styles, the band would change costumes to dress in the correct period style, so authentic do the different tunes appear.